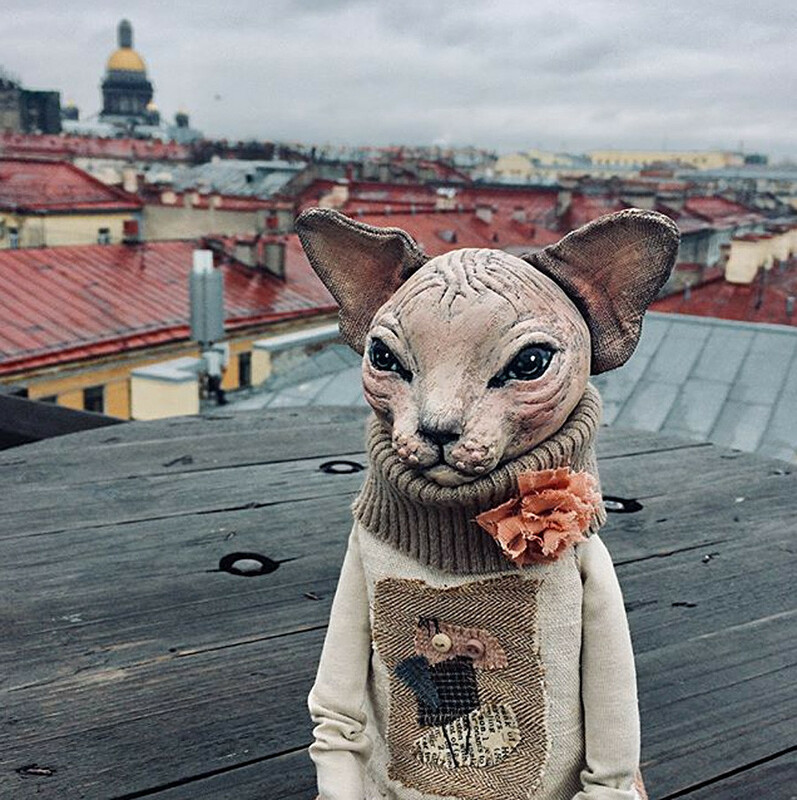 Designer from St. Petersburg makes toy cats and photographs them in the city. 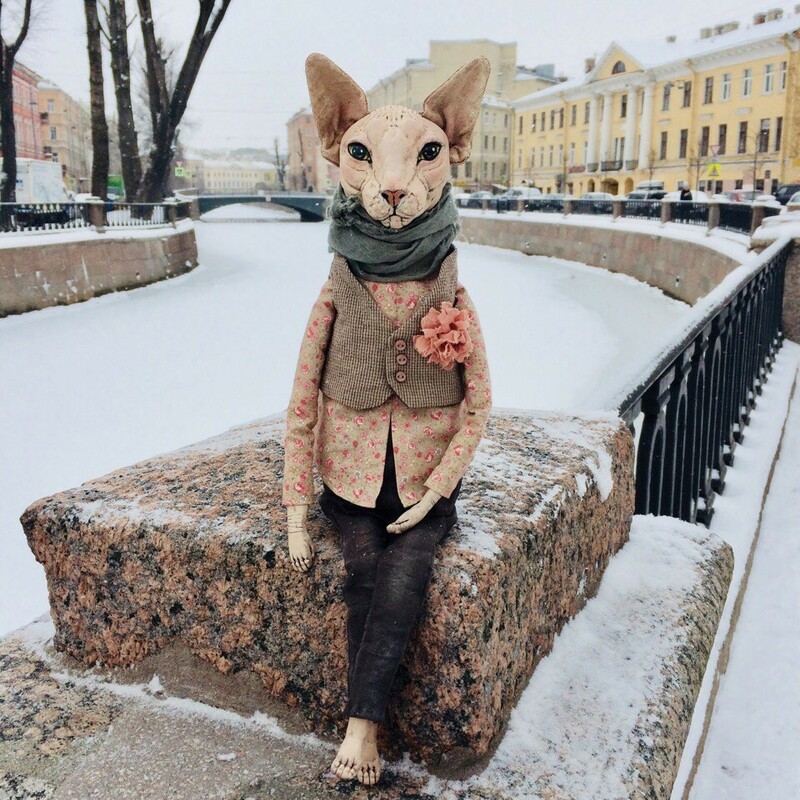 Elena Alekhina, a designer from St. Petersburg, creates realistic toys from papier-mache and printed fabrics. 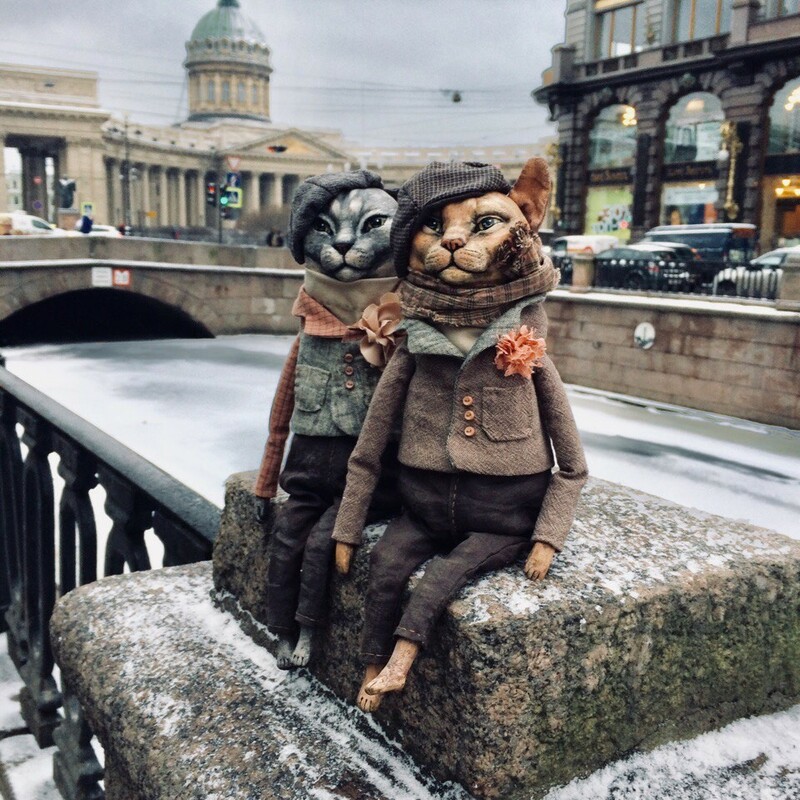 She photographs small cats and dogs against the backdrop of Kazan Cathedral, the Peter and Paul Fortress, the Griboyedov canal, and Fontanka river. Elena gives names to her pets and publishes them on Instagram. Alekhina was fond of painting and for several years and taught children art. 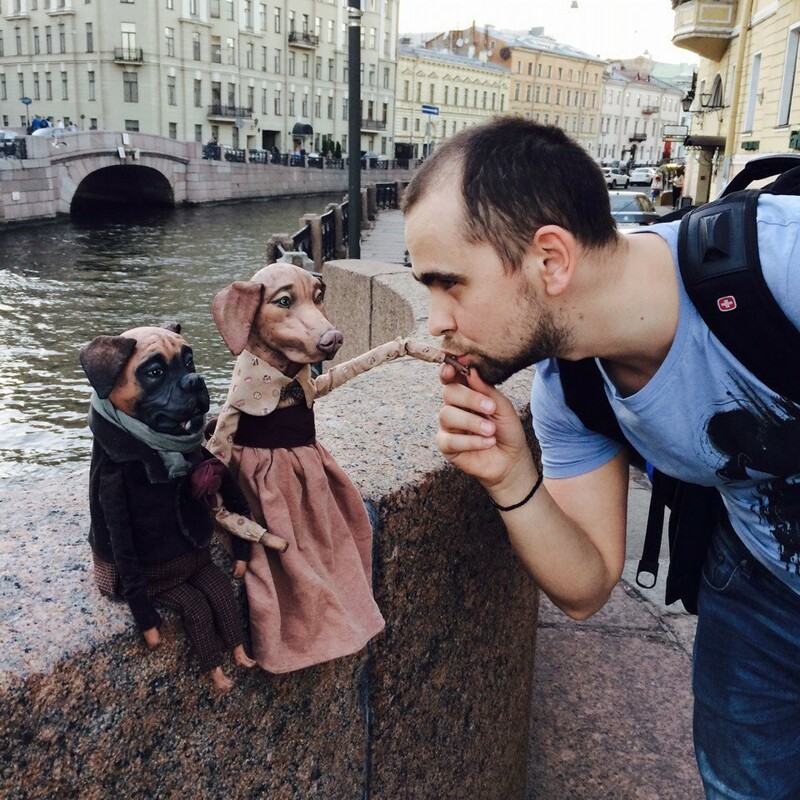 Then she decided to create dolls. 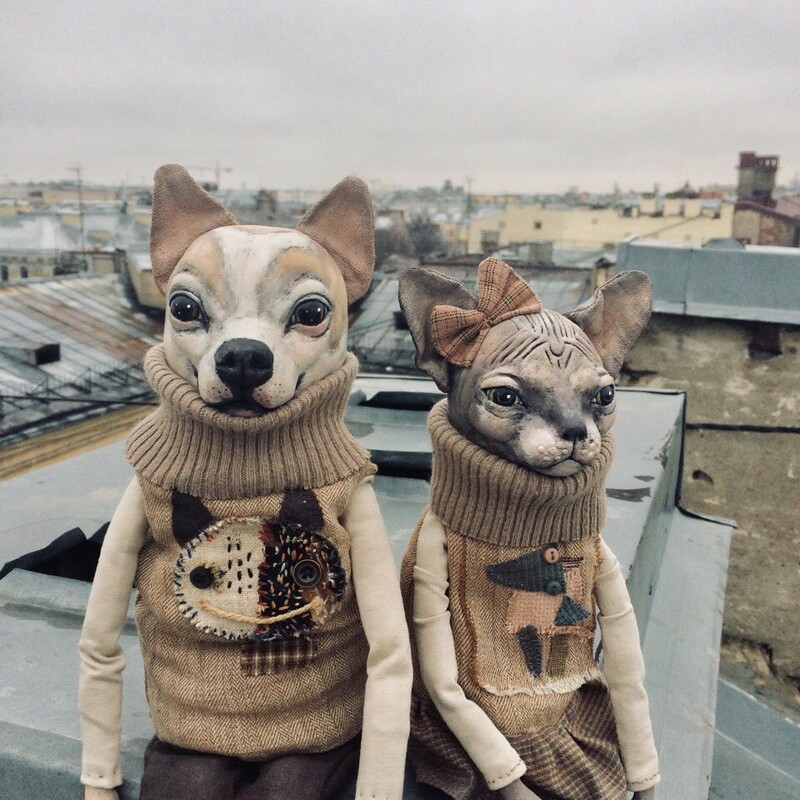 Starting from portraits of Salvador Dali and Frida Kahlo, Elena moved to animal toys and for about a year she has been creating small cats and dogs wearing Russian costumes. 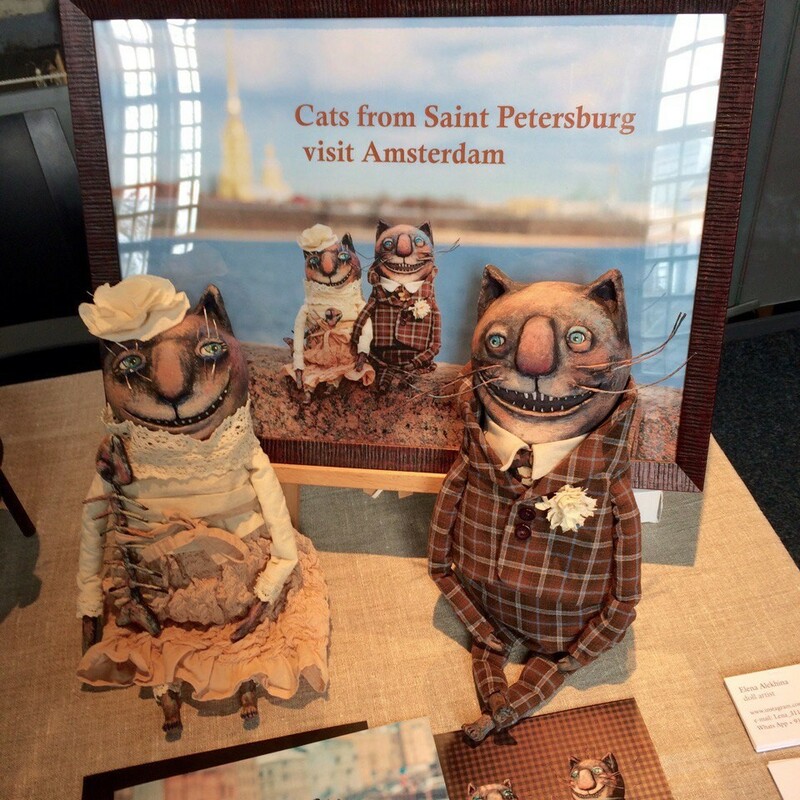 Together with her first “smiling cats,” she took part in some exhibitions. Now she makes toys mostly for customers. 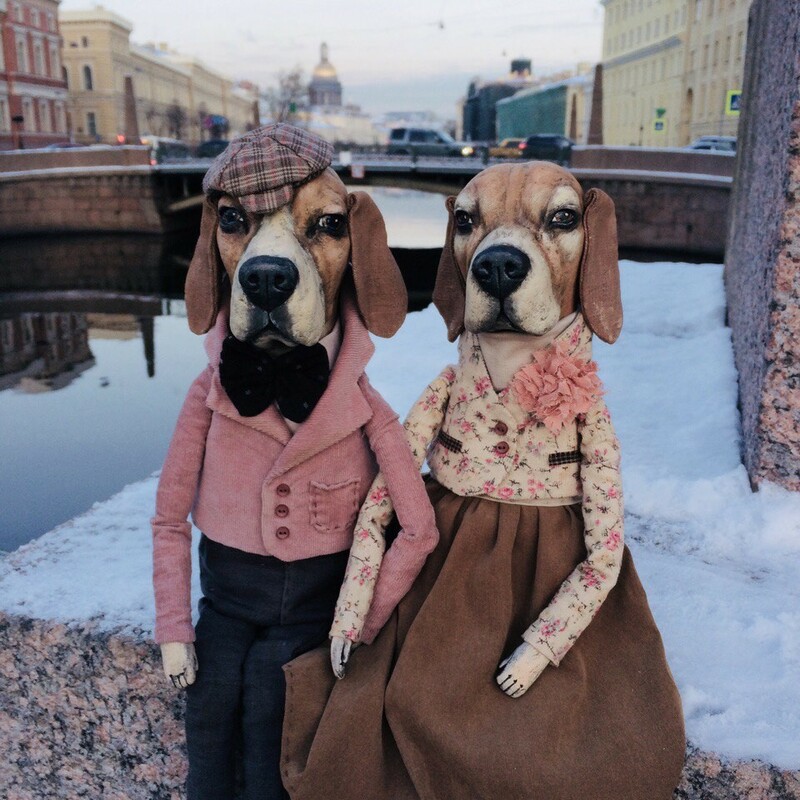 You can often one can see sphynx cats and beagle dogs on her Instagram. 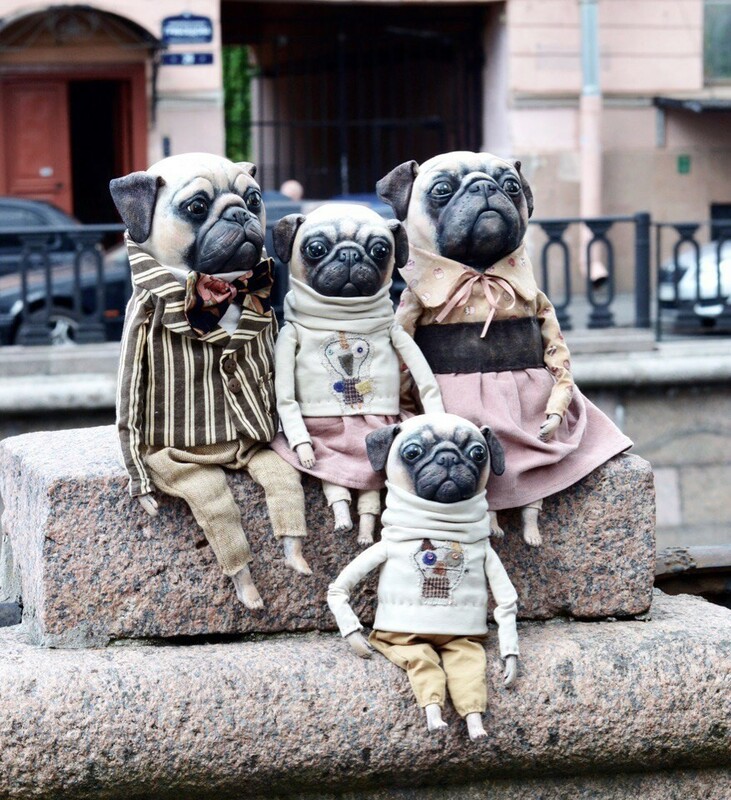 But the mini pugs are also pretty cute. 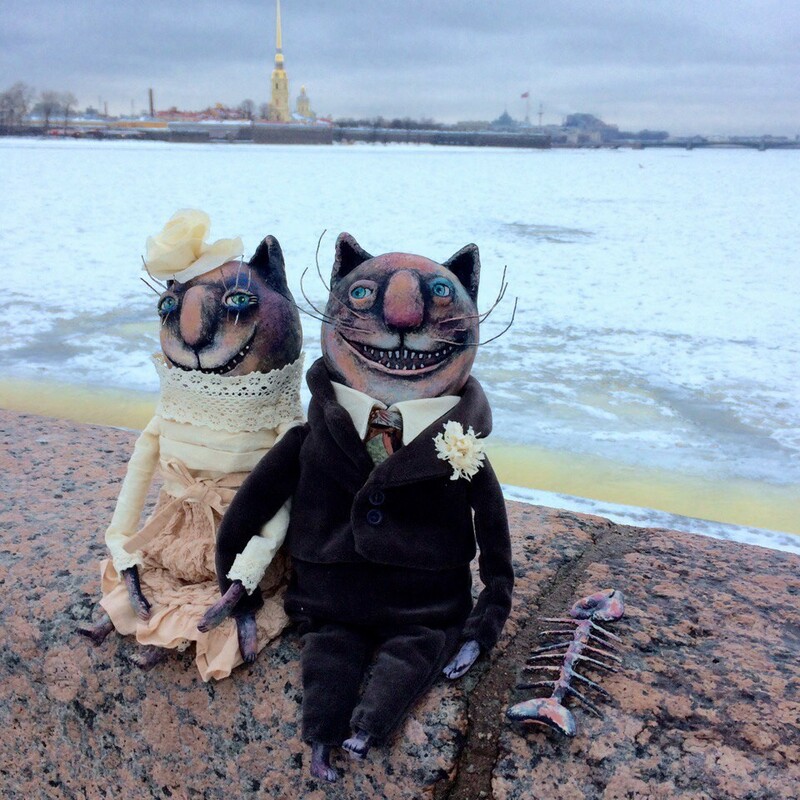 There are sailor cats, portrait painters, travelers, and even a newly married couple among her toy pets. 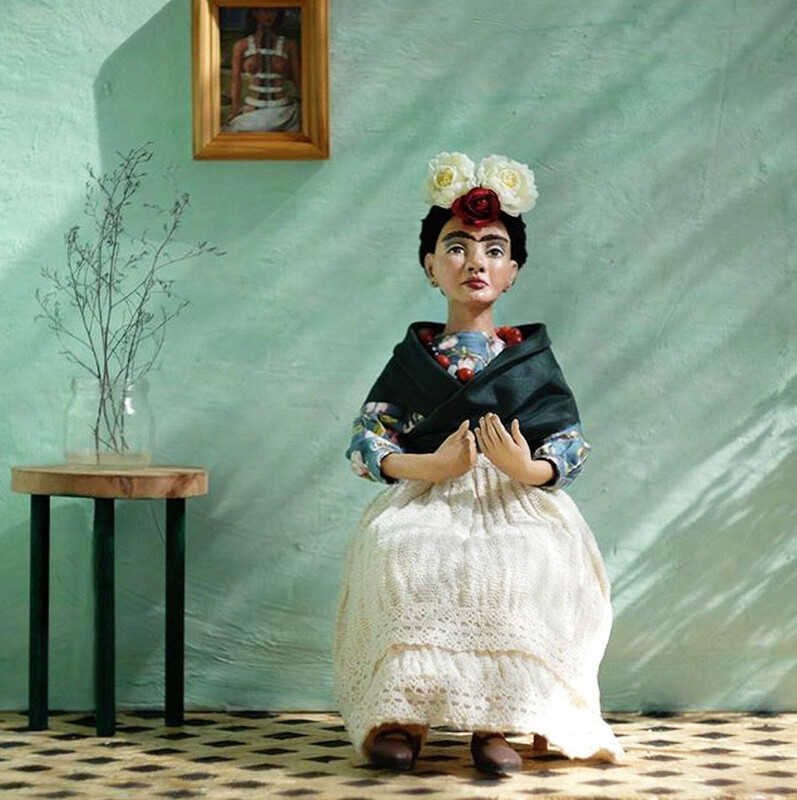 Her photo shoots provoke an unexpected but positive reaction from passersby.